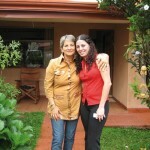 Spanish Courses in San Jose, Costa Rica at Academia Columbus. San José, the cosmopolitan capital of Costa Rica (500,000 inhabitants), is situated in the heart of the country, in the middle of the Valle Central (Central Valley). 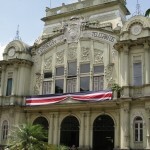 It is both a historical and modern city filled with Costa Rican traditions. From this picturesque valley, you can enjoy an exquisite view of countless mountain peaks that frame San José and its surroundings. Numerous museums, theatres, bars, and restaurants as well as the vibrant nightlife of the ´Ticos´, the inhabitants of Costa Rica, provide exciting entertainment. 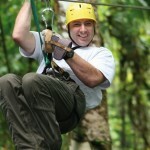 In addition, you can embark on excursions to destinations throughout the country from San José. Important: Academia Columbus has merged into the Don Quijote conglomerate of Spanish schools around the world and it is now a Don Quijote school. 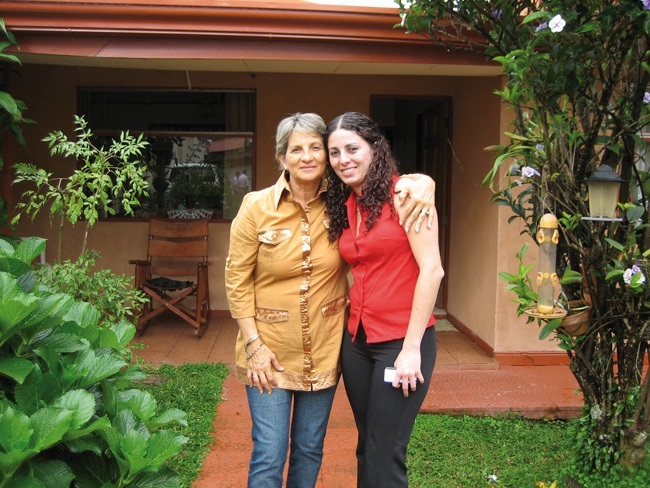 The Don Quijote Heredia location has been offering Spanish courses in San Jose since it was founded in 2005. 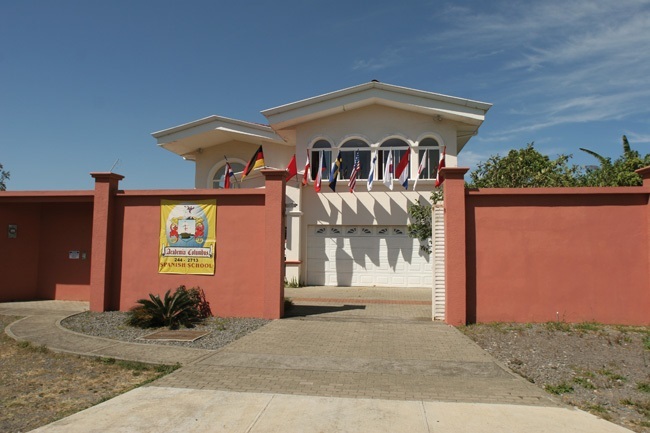 The school is located in the picturesque town of Santo Domingo de Heredia, just 5 km (3 miles) from the capital city of San José. The town has a population of 60,000 inhabitants who are known for their friendliness and hospitality. 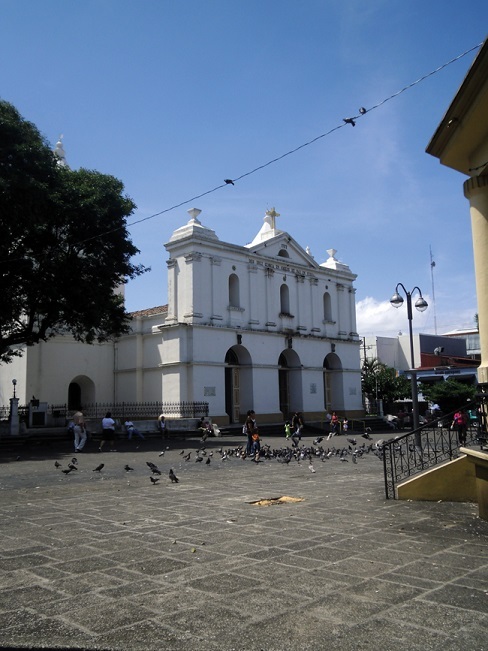 With its park, beautiful churches and quiet streets Santo Domingo de Heredia is a lovely little town, where you will also find various bars, restaurants and pubs to keep you entertained in the evenings. 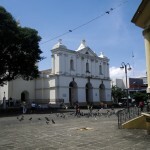 Santo Domingo is situated in the center of the ‘Valle Central’ (Central Valley), but away from the busy center of San José. 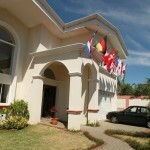 Our location in this more tranquil area offers the perfect setting for a language course. 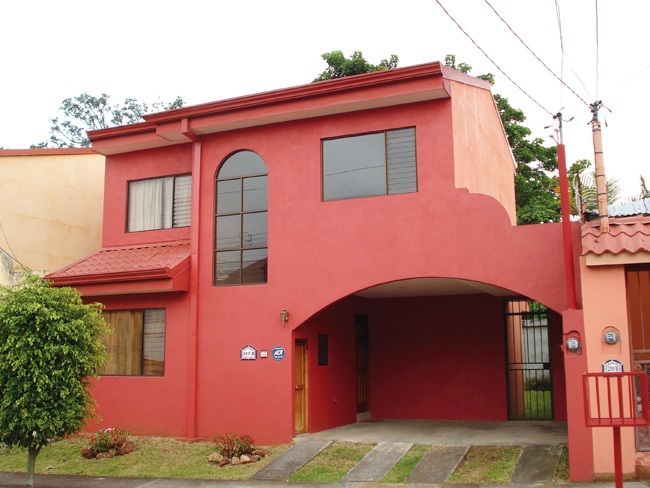 You can reach the capital San José and the university city of Heredia in just a few minutes by bus. 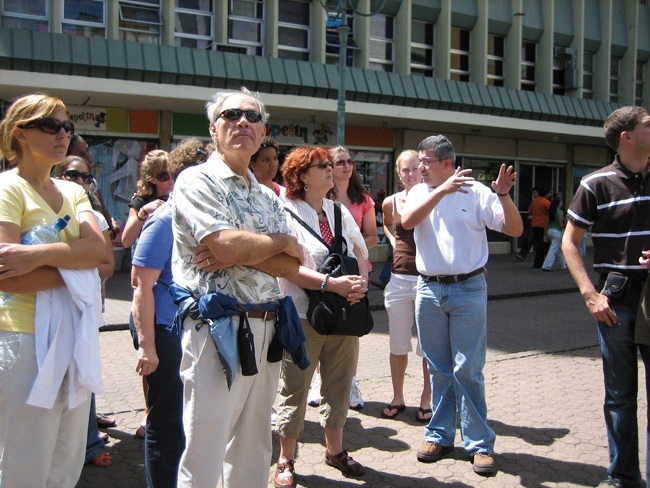 The ideal location of the village of Santo Domingo makes it a great starting point for tours all around the country. 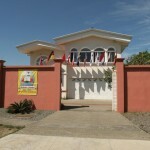 The Don Quijote Spanish school is surrounded by a tropical garden with palm trees and exotic plants, and has 15 bright, spacious classrooms. There is a large hall which is used for social activities such as dancing or drama classes. 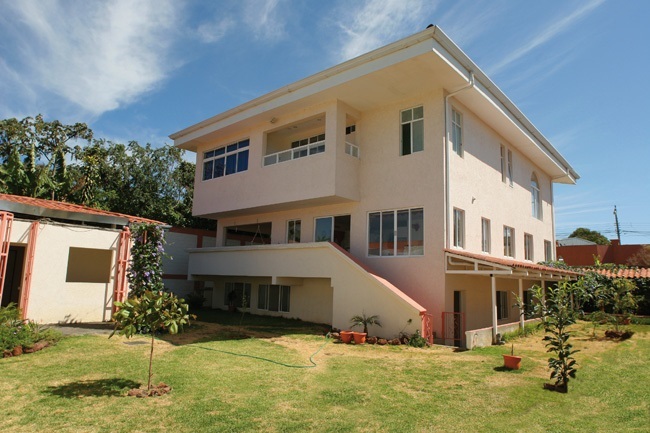 During the breaks and after lessons have finished, students can relax and enjoy the sunshine in the garden´s sitting area. Lessons at Don Quijote can also be held in the garden if the students wish to. There are various shops, restaurants and bars within walking distance of the school. 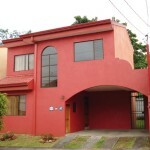 The centers of San José and Heredia are just 10 to 15 minutes away by bus. Wireless internet is free of charge for our students to use. Don Quijote n Heredia provides tea, coffee and water free of charge. There is also a small shop close to the school that sells drinks and snacks at reasonable prices. Notes: Minimum enrollment age: 16 years old. Classes are 55 minutes long. Maximum of 8 students per group (average 4). In the exceptional case where there is just 1 student registered for a certain level, the number of lessons per week will be reduced to 60% of the total number of lessons. All prices for the Spanish Courses in San Jose include: number of Spanish lessons as listed, Spanish level test on arrival, first day orientation, cultural activities offered at the school, learning materials (text books on loan), certificate of completion and local support. 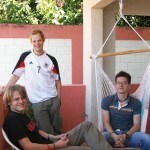 Intensive 20 Spanish Course: (3-8 Students per group). 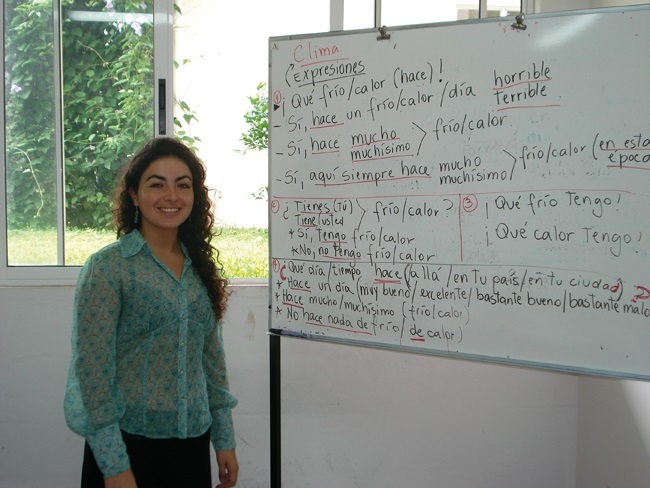 The Intensive Spanish Courses are our standard program of 20 lessons per week of general Spanish. This means you will have 4 hours of class per day from Monday to Friday. The course is offered year-round at all 6 levels and is taught in mini groups with a maximum 8 and an average 3 students with the same proficiency level. Before the start of your language course, you will take a placement test which helps us to place you in the correct group. You will develop and improve all language skills (writing, reading, listening and speaking). Besides the language, you will also learn more about the culture of Latin America and the specific country where you are studying. Intensive 25 Spanish Course: (3-8 Students per group). For students who want a more intensive course we offer our Intensive 25 Spanish Courses. 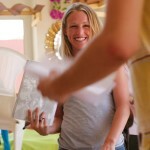 You will receive 20 mini-group Spanish lessons plus 5 additional culture and conversation workshops. 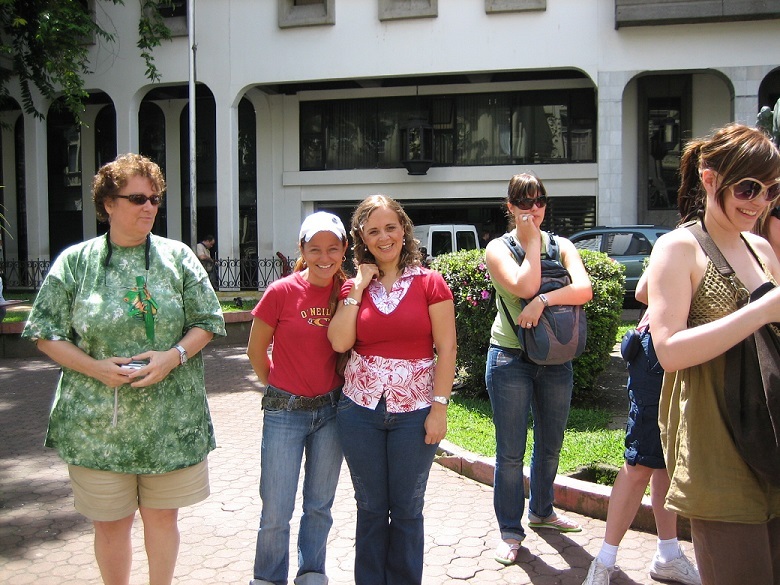 Students may choose General Costa Rican Culture, History or Art, or Oral Expression and Communication classes. Super Intensive 30 Spanish Course: (3-8 Students per group). 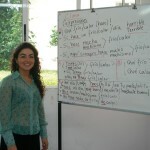 For students who want a more comprehensive course we offer the Super Intensive 30 Spanish Courses. You will receive 20 mini-group Spanish lessons, 5 additional culture and conversation workshops plus an additional 5 Semi-Private lessons (up to 4 students). 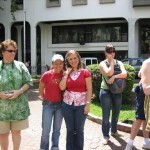 Students may choose General Costa Rican Culture, History or Art, or Oral Expression and Communication classes. Executive Spanish Course: (3-8 Students per group plus one-to-one classes). The Executive Spanish Courses consist of 20 group lessons of the Intensive Spanish Course in mini groups plus 10 private Spanish lessons in the afternoon to address personal interests or difficulties in the language. Private Spanish Courses: 10 or 20 Private Spanish lessons per week, One-to-one training, all levels from Beginner to Advanced. With private lessons the content of the course as well as the tempo is personalized according to the student‘s needs and wishes. Therefore students are afforded the maximum amount of flexibility and individual support. 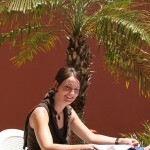 Private Spanish courses start every Monday for all levels from Beginner to Advanced. Intensive Spanish and Dancing: 20 lessons per week Intensive Spanish Course (see description above) plus 5 Salsa lessons (2 afternoons per week). Learn to dance Salsa and other forms of Latin American dance in our salsa dance classes with an experienced dance teacher! Join our Spanish & More course with Salsa lessons. This option allows you to study Spanish and at the same time learn one of the most exciting dances of our time: Salsa. Starting dates 2018 and 2019: Every Monday. Intensive Spanish and Cooking: 20 lessons per week Intensive Spanish Course (see description above) plus 5 Cooking lessons (2 afternoons per week). Experience Latin American cuisine, visit the local food market and cook a typical specialty dish together with your teacher! Our Spanish & More course with cooking lessons helps you learn to appreciate the local food and the art of preparing typical dishes. While you are studying Spanish you will learn the secrets of the local cuisine. Students will learn about local food, visit supermarkets and/or local markets, talk about the ingredients, and participate in making and tasting some of the most famous local dishes. All courses: Please add USD 65 school enrollment fee. Starting dates for all group Spanish Courses in San Jose: Every Monday for all levels including Beginners. Holidays 2018: 1 January, 29-30 March, 16 April, 1 May, 30 July, 2 August, 15 August, 15 September, 15 October, 25 December. Classes missed due to holidays are NOT made up, except when two holidays all in the same week in which case one day will be made up. Holidays 2019: 1 January, 11 April, 18-19 April, 1 May, 25 July, 2 August, 15 August, 15 September, 14 October, 25 December. Classes missed due to holidays are NOT made up, except when two holidays all in the same week in which case one day will be made up. All of Don Quijote ‘s accommodations are carefully selected. 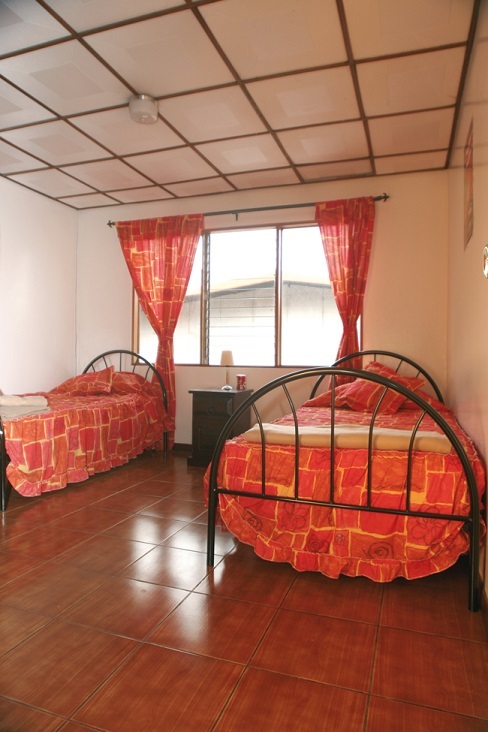 Don Quijote understands that this will form an important part of your language stay and our staff personally inspects all accommodations guaranteeing their quality. 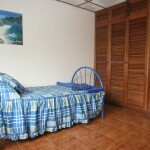 Only when you feel comfortable in your accommodation will you be able to improve your Spanish skills properly. 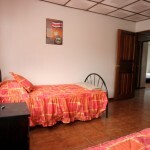 We especially recommend host families stays in order to experience a total immersion in the culture of the country. 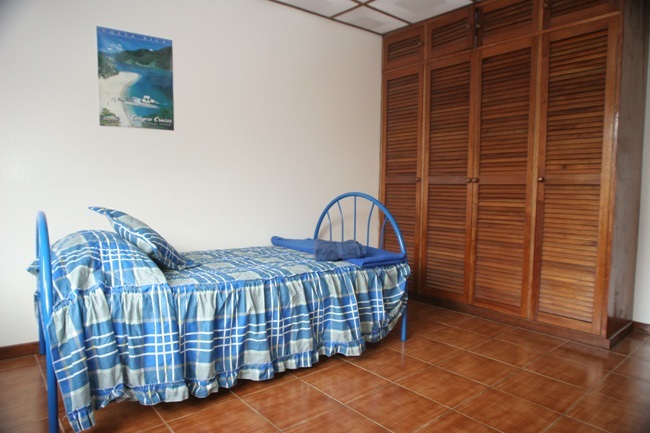 The shared apartments are also very popular with our students and offer you the possibility to cook for yourself as well as meet other people from all over the world. Accommodation is booked from the Sunday before the course until the Saturday after the course. Extra nights are on request and will be charged for. 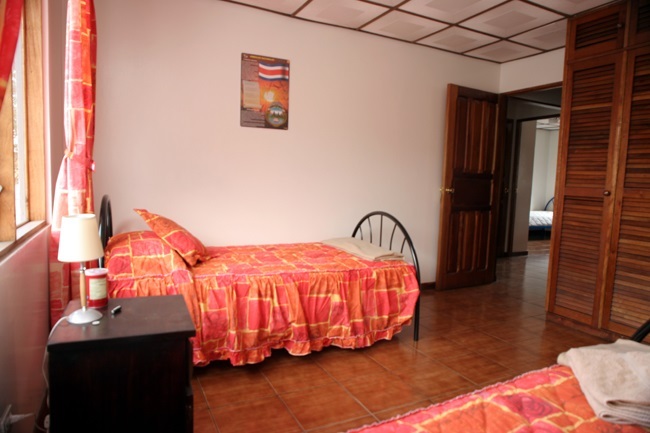 Don Quijote offers two types of accommodation in Santo Domingo de Heredia: host family accommodation or shared apartments. 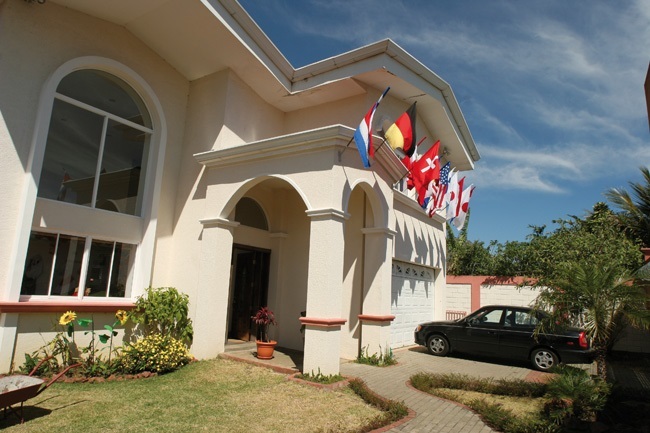 Host family stays provide an excellent opportunity to experience the culture of the country and its way of life. You will speak Spanish with your family, eat the local food and see how they live in the respective country. Friendships, which often develop, can last well beyond the duration of the stay. 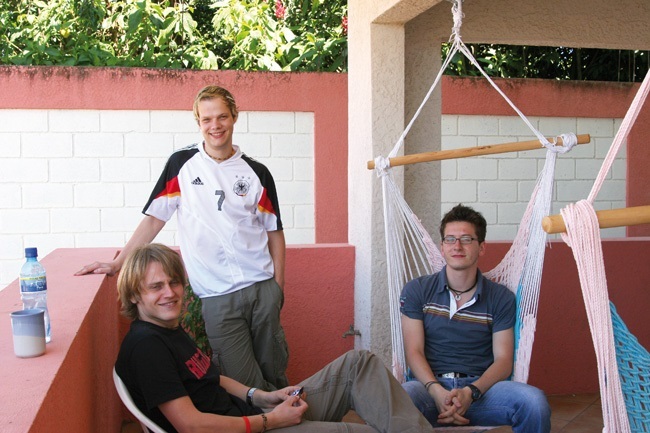 The carefully selected host families have been welcoming students from all over the world for many years. 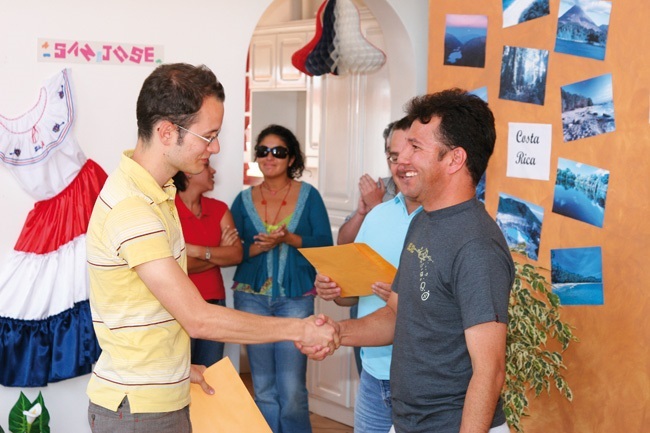 You will receive a warm welcome, and have the perfect opportunity to use and improve your Spanish skills on a daily basis. In host family you can choose from half or full board and they are all located between 5-30 minutes walking from school. Half board consists of breakfast and dinner and full board would be breakfast, lunch and dinner. You will be given bedding, but must bring your own towels. If you are coming with a friend or partner, you are welcome to stay together in the same host family. Should you have any dietary requirements (e.g. vegetarian, allergies, etc. ), please state those on your enrollment form, so that the family can prepare for your needs as best as possible. Host families are also happy to provide laundry service upon request. Families can wash and dry your clothes for no additional cost once a week. 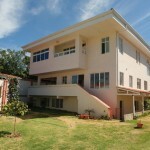 Many students live in the spacious, comfortably furnished shared apartments near the school. 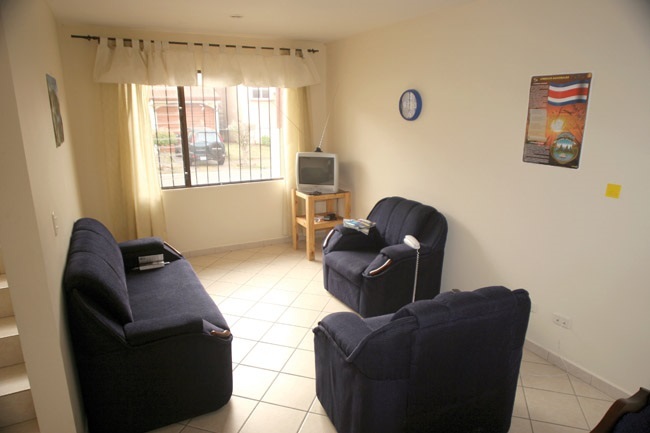 The shared apartments are located on 10-30 minutes walking from the Academia Columbus school and you can choose from accommodation in single or double room on self-catering basis (no meals). This is a great way to get to know your fellow students from all over the world. 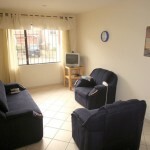 Each apartment has two or more bedrooms, a living room with TV and an adjacent kitchen, and one or more bathrooms. The kitchen is fully equipped. They are cleaned and the bedding is changed once per week, but we kindly ask that you bring your own towels. Wireless internet access is available free of charge. 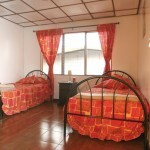 * Double rooms can only be booked by two students traveling together. Prices are per person. As an important part of Don Quijote’s philosophy ´Living and Learning Spanish´, they offer an extensive social and cultural program in all our schools, which helps you to learn more about the culture and country where you are studying. It is also a good opportunity to get to know your fellow students better and make new friends. Besides the fact that our activity program will provide you with an excellent insight into the diversity of Latin American culture, it will also allow you to contextualize what you learned in the classroom. City Tour: On your first day of school, you can participate in a city tour to start exploring the area where you are studying. The tour will cover all the important things that you need to know for your daily life: how to withdraw money, how to get around by public transport, how to shop affordably, where to find Internet cafés, and much more. 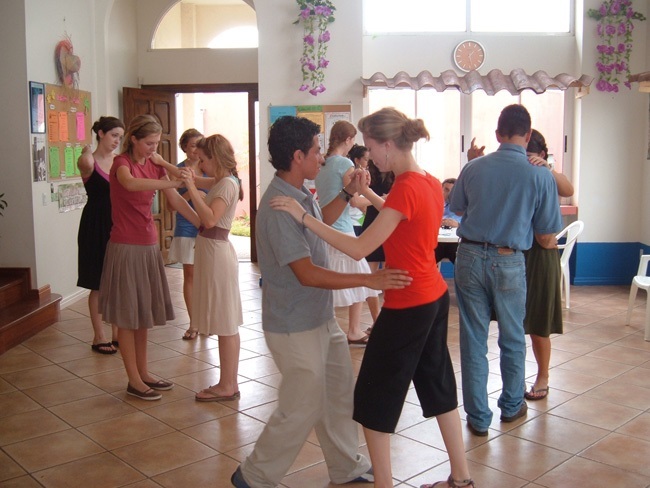 Dancing Lessons: Discover Latin American rhythms like Salsa and Merengue with a dance instructor. Feel the energy and shake your hips! 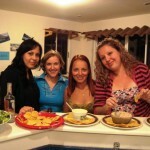 Cooking Lessons: Have you ever tried “Ceviche” or “Guacamole”? You will prepare and enjoy the local culinary specialties together with your teachers and other students. Lectures: During our lectures and discussions on historical, cultural and current topics of Latin America you will learn more about your destination and its history and culture. Drama Class: Act in a drama on stage with teachers and students. This helps you to develop your Spanish skills and acting talents by performing scenes from famous plays such as Romeo and Juliet or Don Quijote. Fiesta: Enjoy our traditional Latin American fiestas with local foods, drinks and dances together with our teachers, students and friends! Movie Night: Like going to the movies? Come with us and enjoy a movie in Spanish or with Spanish subtitles in a movie theatre around town or in our own movie room. In addition to our cultural program, the school offers the possibility to participate in exciting excursions to interesting destinations. Most excursions take place on weekends and can be booked directly at school on a pay-as-you-go basis. Pacific Coast: We depart San José towards the Central Pacific coast of Costa Rica including a stop for breakfast. On route, there will a boat tour along the Tárcoles River where we will observe crocodiles, water birds and migratory birds. After our jungle adventure with the crocodiles, we continue to Punta Leona, a beautiful resort with a white sand beach, blue ocean and a protected area of 750 hectares of transitional tropical wet forest to tropical dry forest; definitely an exotic paradise. Once at Punta Leona you will have enough time to swim on the ocean or on the swimming pool, bask on the beach, take a walk or relax under a coconut palm. The tour includes a delicious lunch that will be served in one of Punta Leona Resort’s restaurants. Sunset in Punta Leona is an extraordinary experience, which we will enjoy before heading back to San José. 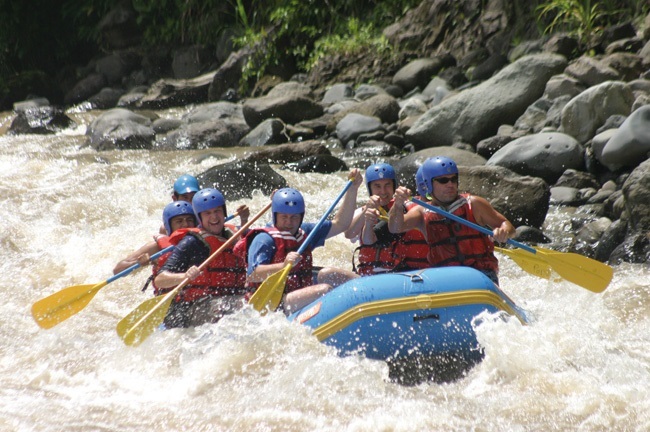 Adventure Combo: Costa Rica provides White Water Rafting experiences that take your adrenaline to top levels and fascinating Canopy Tours going high above the treetops. Now you can enjoy the two activities in an extraordinary way. Discover the natural marvels of Sarapiqui; an extensive territory located in the northeastern parts of the country, with a variety of crystal clear rivers, an abundance of beautiful tropical forests and villages inhabited by friendly and laborious people. Leaving San José the tour traverses the majestic scenary of Braulio Carrillo National Park and arriving in Sarapiqui we will enjoy two adventurous attractions: the Canopy Tour in the middle of a secondary forest with trees of high altitude and after lunch the White Water Rafting in the agitating waters of the Sarapiqui River. 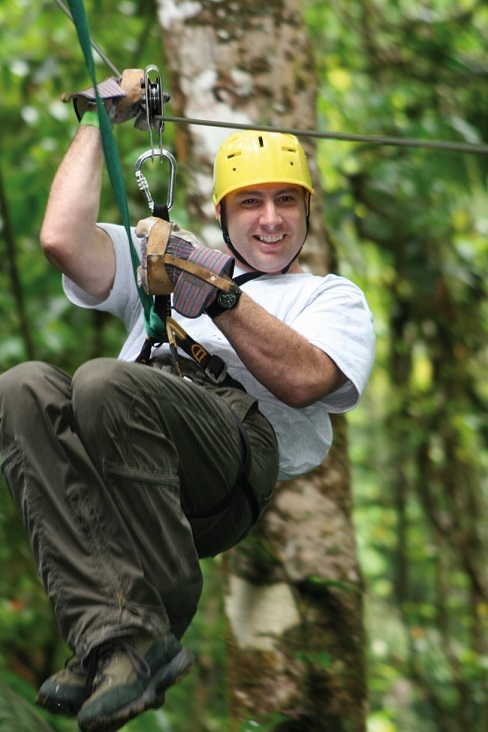 The Canopy Tour takes about an hour and a half and the nine cables of different length stretch over the forest with the last one crossing the Sarapiqui River. 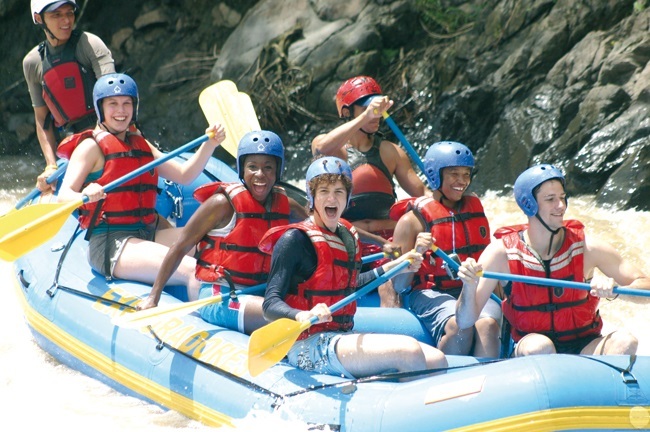 The rafting at Sarapiqui River has different levels between class II and class III, presenting vibrant scenery to those who want to participate in this exciting activity. Nine miles of unexpected rapids in combination with calm and relaxing intervals makes this an unforgettable experience for bird watchers and nature lovers. Arenal Volcano: The Arenal volcano is a 1,633 meters (5,300 feet) high mountain, which is perfectly conically shaped with a crater of 140 meters. 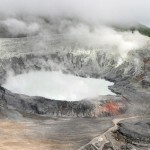 The volcano was asleep for hundreds of years and exhibited a single crater at its summit, with minor fumaroles activity, covered by dense vegetation. In 1968 it had an eruption and destroyed the small town of Tabacón. Due to the eruption three more craters were created on the western flanks but only one of them still exists today. 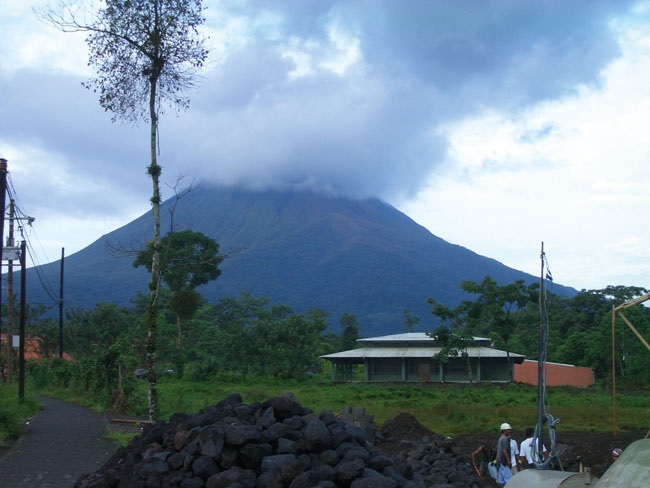 Arenal is considered Costa Rica’s most active volcano and has been studied by seismologists for many years. Although the activity nowadays is less damaging you can still see ash columns, underground rumbling, glowing orange lava flows and sudden explosions on a daily base. With its perfect conical shape it allows breathtaking views of volcanic action in the summit. 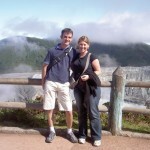 Almost every night the crater offers a spectacle of lights with its explosive eruptions. 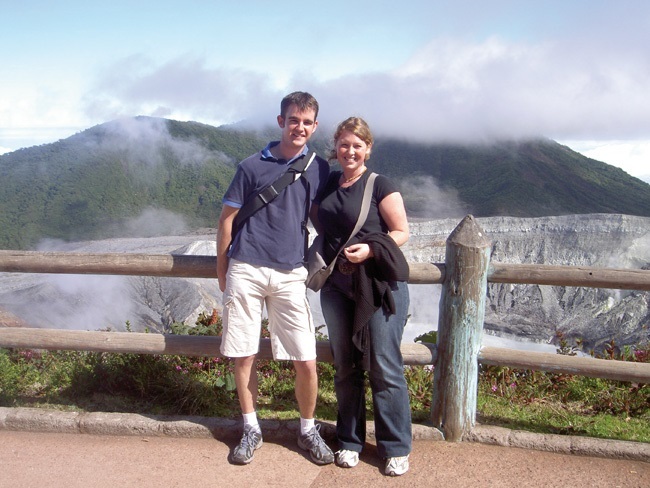 Many different tours to the Arenal Volcano are offered, whether or not in combination with a visit to one of the many thermal hot springs in the area or the Arenal Volcano National Park. 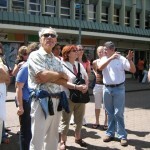 There are day-tours, or overnight tours or even several day tours. 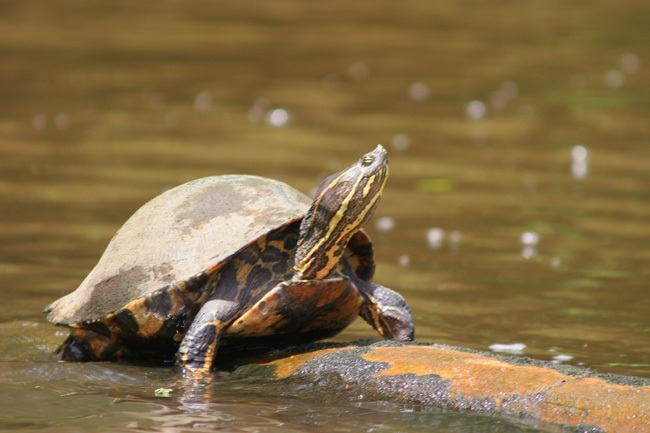 Tortuguero National Park: Known as the “Costa Rica’s Amazon”, Tortuguero is one of the most important nesting sites in the world for marine turtles – every year, thousands of them come ashore along these world-famous beaches to lay their eggs. Another great feature in the area is the Tortuguero Canals, an extensive system of natural and man-made waterways used both for transportation and jungle exploration. Most popular amongst our students is the one-day-tour, but there is also the possibility to go on the excursion with an overnight or 2. 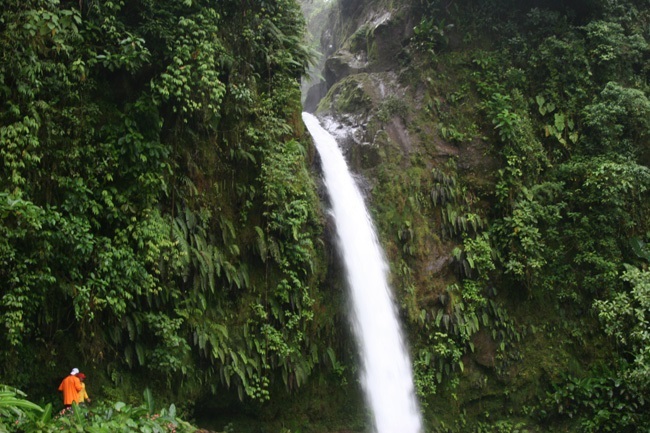 Poas Volcano & La Paz Waterfall: The Poas Volcano can be visited in a half day excursion or full day excursion visiting some nice towns in the area or in combination with the La Paz Waterfall in the so called Combo Tour. 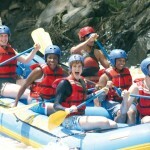 The Combo tour is an intense fun filled set of excursions where you will embark on three distinct adventures. 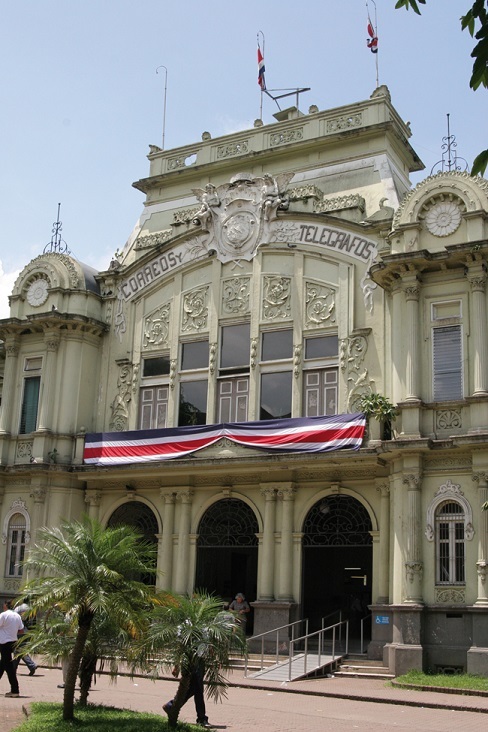 To get to the different areas we will traverse the city of Alajuela, passing the Agriculture Monument, as well as the Monument to Juan Santamaria named after a folk hero and the famous Mango Park a favorite among visitors alike. As we ascend the terrain and near the Poás Volcano we will notice a change in temperature and vegetation; we will see coffee plantations as well as fern, flower and strawberry farms along the way, creating a beautiful array of colors and textures. 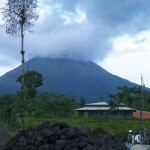 On the way to the volcano we will visit the Doka Coffee Estate for a delicious breakfast. Then we will be treated to a coffee tour in an actual coffee plantation where we will learn the ancient techniques used by the experts to produce some of the best coffee in Costa Rica and around the world. The careful process involved in the cultivation, harvesting and roasting of the Golden Bean will then be illustrated, very hands-on, and then we will savor the delectable end product. 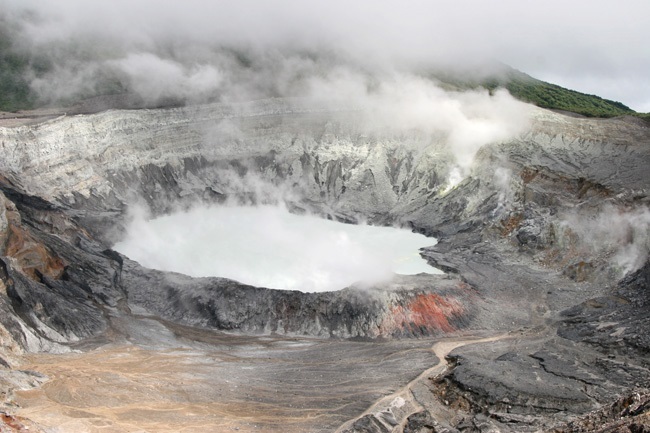 After the coffee tour we will continue to the Poás Volcano where we will not only admire the impressive main crater with its sulfur fumaroles, but also learn about the different ecosystems in this unique and protected national park. 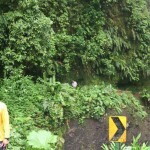 Following the visit to the volcano we will continue to the La Paz Water Fall Garden for a scrumptious lunch and tour. 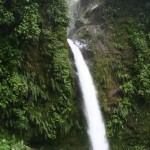 As we arrive to La Paz, we will walk through a trail, leading to a spectacular waterfall in the middle of the rainforest. Inside the park we will also visit the hummingbird gallery, the serpentarium, the bird house, the butterfly garden and the frog’s exhibit; to be enjoyed by those of all ages. 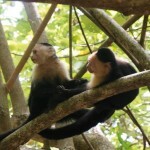 Manuel Antonio National Park: Manuel Antonio National Park is considered one of the most beautiful parks in Costa Rica. On this tour, you will visit pristine beaches, with coral reefs, bordered by exuberant vegetation and the natural wonders of the tropical rainforest. The beaches in Manuel Antonio are highly coveted as some of the best that Costa Rica has to offer. Many popular activities such as world-class surfing and snorkeling are available. 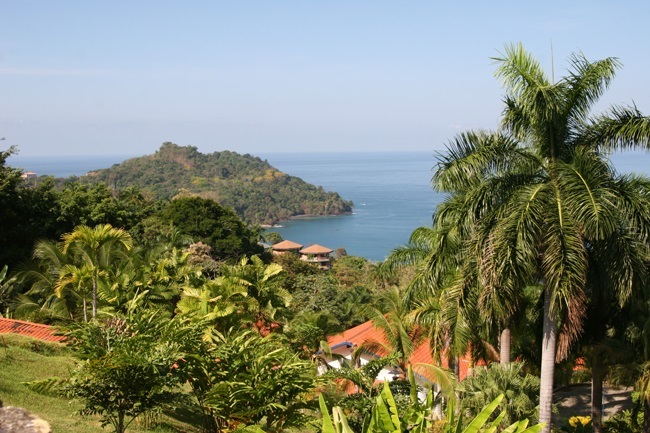 On the way to Manuel Antonio National Park, you will travel along the coastline enjoying scenic views, including African palm plantations. You will also travel past small villages along the Pacific Coast, until you reach the port of Quepos and the ultimately the National Park. Since access to the park itself is closed to vehicles, you will hike to the preserve, crossing a creek. 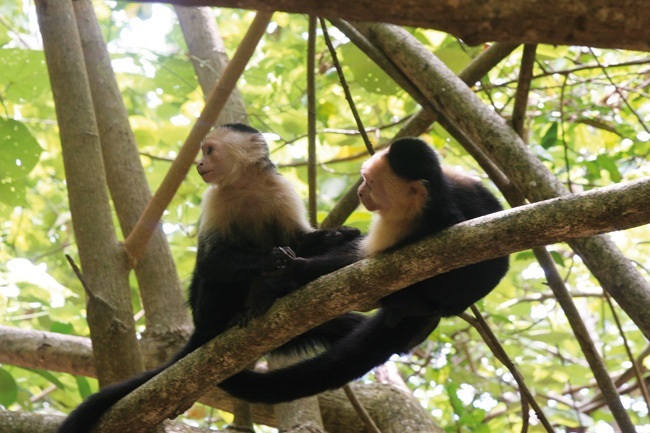 Once in the park, you can simply relax and enjoy the beach, sunbathe, or hike through the park’s trails, which will allow you to observe Manuel Antonio’s abundant flora and fauna. Several species of monkeys, iguanas, birds and possibly even the three-toed sloth can be seen. If you chose to hike the trail to Cathedral Point, do not forget your camera; the views of the park and the sea are simply spectacular! Corcovado National Park: Drake Bay is one of the most peaceful and beautiful destinations in Costa Rica. The town, commonly referred to as simply ‘Drake’, is a tranquil village that offers easy access to Corcovado National Park – known for its natural beauty, diverse wildlife and unique ecology. National Geographic has called it “the most biologically intense place on Earth”. 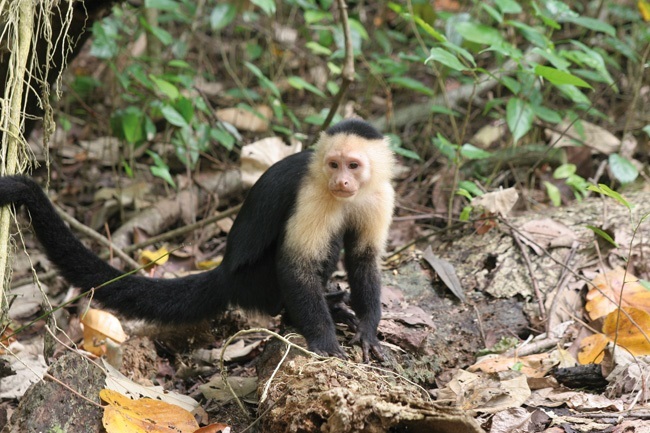 Corcovado National Park protects a big portion of the Tropical Humid Forest of all Mesoamerica. Its diversity in climate conditions, location, soil, topography and biological species makes this place one of the most important national treasures. It has many resources that are invaluable benefits for the agriculture and medicine fields, which has awakened an interest among Costa Ricans, foreigners and scientists. Corcovado National Park is an exclusive place for conservation goals, scientific investigation, environmental education and tourism. It has a unique combination of terrestrial and marine ecosystems, and has a wide variety of flora, extinct in other regions of the country. 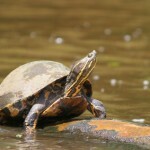 It also has a wide variety of animal species as well, many of them in danger of extinction. Visitors may have a glance at the red macaw, wild boar, jaguar and the crocodile. 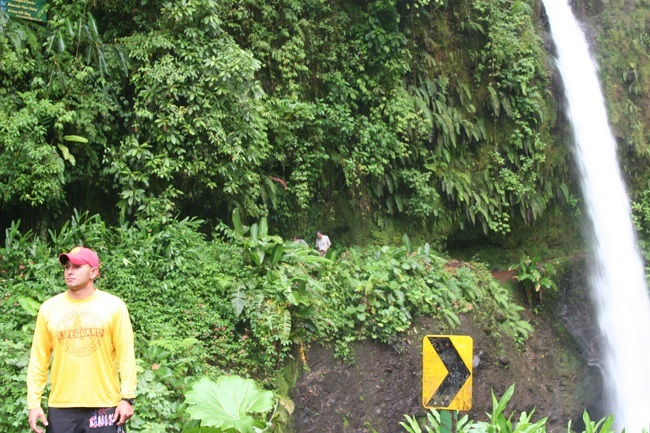 Monteverde National Park: Monteverde is a misty and cloudy small town in Puntarenas and is considered a major tourist destination due to its numerous reserves with naturally impressive rain and cloud forests. 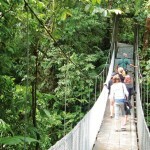 The Monteverde Cloud Forest Biological Reserve was created in 1972, and is the region’s most valuable treasure. 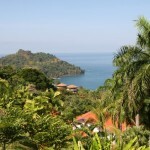 This area is situated in the province of Puntarenas at an elevation of 5,600 feet above sea level. The region is known for its conservation efforts and its dedication to the responsible development of its community. 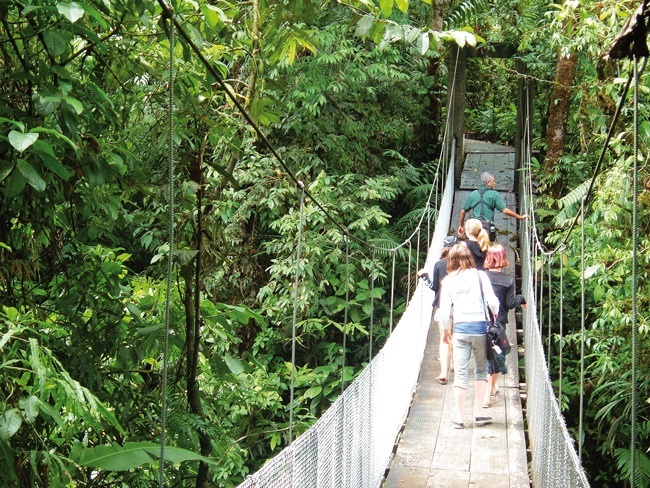 During the tour to Monteverde you will have the opportunity to visit Selvatura’s hanging bridges, known as Treetop Walkways, from where you will admire the forest from a different perspective; visit the Butterfly Gardens to learn about these beautiful and colorful wonders of nature, and visit the Insect and Reptile Exhibitions. This is a great one day tour to learn about the natural history, flora and fauna of this wildlife sanctuary. 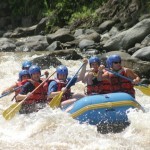 Caribbean Coast: On the Caribbean Coast of Costa Rica there are many places of interest to visit as well. Very popular amongst our students is Puerto Viejo y Cahuita: this beautiful beach town on the Caribbean coast of Costa Rica has recently become a hit with tourists due to its cultural and natural richness, stunning white-sand beaches and the legendary Salsa Brava waves. Known for its laidback attitude and Caribbean life style, Puerto Viejo, Costa Rica allows visitors to experience Costa Rica’s most exotic side. Traditions are well established in Puerto Viejo, with a unique blend of Latin, Afro-Caribbean and Bribri indigenous cultures. The ‘Rastafari’ culture has an important presence in the area, and many ‘Rastas’ sell handmade jewelry and other products along Puerto Viejo’s colorful roadside. This small port town is an ethnic wonder in itself. Puerto Viejo, Costa Rica has a lot to offer. From world-class surfing, snorkeling and diving among the many reefs in the blue waters, to mountain biking, horseback riding and cultural visits to indigenous people. Nearby Cahuita National Park and Gandoca-Manzanillo National Wildlife Refuge provides tourists with the opportunity to observe the area’s incredible wildlife, both of which are a short distance away. Montezuma: The town of Montezuma began as a remote fishing village and has gained popularity since the 1980’s among nature lovers and tourists on a budget. The town features a mix of local residents, foreign backpackers and eco-tourists that come for its stunning beaches, rivers and scenic waterfalls that surround the village. 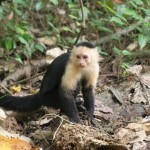 The Cabo Blanco Nature Reserve also attracts a great number of visitors to the area.